We deliver state-of-the-art Smart Card Solutions to help you manage your company efficiently in this fast changing business environment. This application utilizes Smart Card technology in tracking and monitoring HR and Payroll related information for any organization. This Smart Card based solution is extremely useful in the retail chain outlets and shopping malls replacing the traditional modes of transactions through vouchers, coupons and tickets. Campus Management & Library Solution: This is a one-card-fits-all solution allows efficient handling of the campus management activities – student information, library usage, laboratory usage, computer usage and canteen management. The facility can be extended to photocopying and other stationery requirements within the campus. 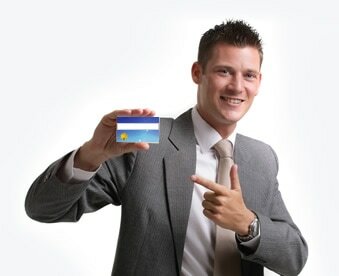 Club Management: This Smartcard-based application caters to a variety of payment requirements for clubs, golf courses, amusement parks and fairs – this solution is a cashless payment system bringing in flexibility for payment and operations like accessibility to facilities, payment for restaurant bills, payment at the vending machines etc. Electronic Cash: This application is a Smartcard driven solution that eliminates the need to carry hard cash for transactions and enforces electronic payment through card. e-Cash differs from credit / debit card payments, in offering security through the chip embedded in the card. This electronic card based solution helps organizations to monitor the entry, exit and movement of visitors within the premises. It also helps in restricting the movement to certain restricted/prohibited zones.